Short for Ask Me Anything, AMA threads are one of Reddit's signature features. They enable you to directly interact with a whole range of interesting personalities, from common folk with amazing life experiences to influential celebrities that help shape politics and culture. If you want to join in on an AMA, however, you'll need to get in at the right time, as these threads are only open for an hour or two at most. As such, it's very easy to miss an AMA if it's not saved on your phone's calendar. To make matters worse, the official Reddit app for iPhone and Android is unable to sync AMA schedules to your device's calendar. Fortunately, there's an extremely simple workaround for this. 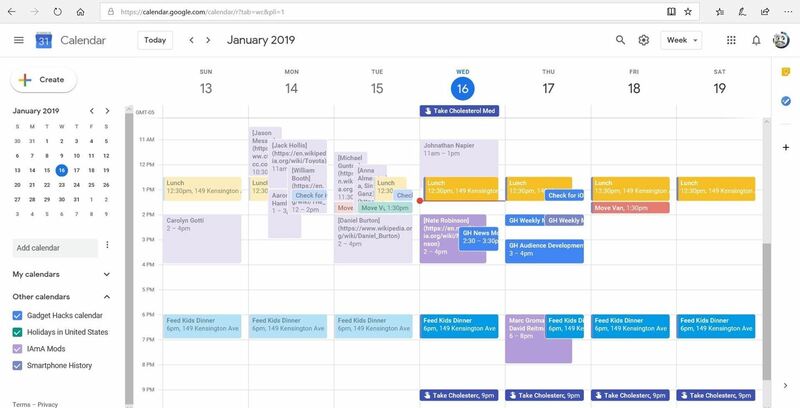 Before we get started, it's important to note that you'll need a Mac or PC to add Reddit's AMA calendar to your Google Calendar, as neither iOS nor Android gives you the option to sync its schedule straight from your device. 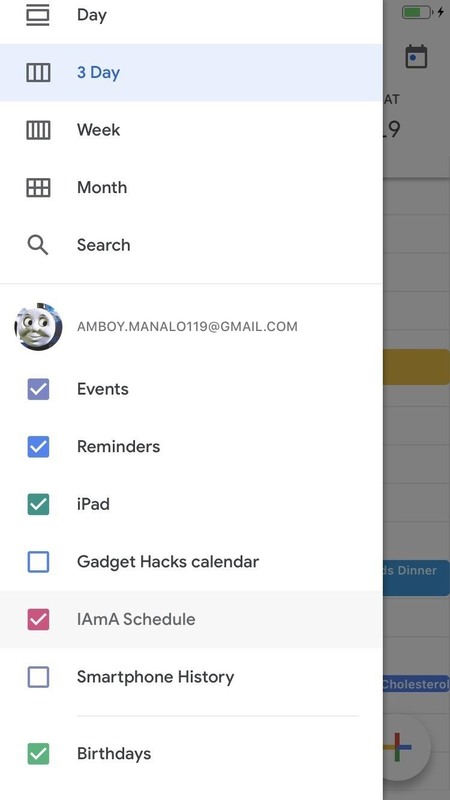 You'll also need to have Google Calendar installed on your smartphone to get notifications for AMAs, so now is the perfect time to install and try out the app if you hadn't already done so. On your computer, open your browser and do to Google's home page, then click on "Sign in" and enter your login credentials. Once you're signed in, click on the Google apps icon in the upper-right corner and select "Calendar" from the popup. Hit enter once you're done, and Reddit's AMA schedule will instantly populate into your Google Calendar. The process is far from complete, however, as you'll still need to sync the new calendar with your smartphone, so proceed to the next step once everything's in order. If you're on Android, skip ahead two paragraphs. 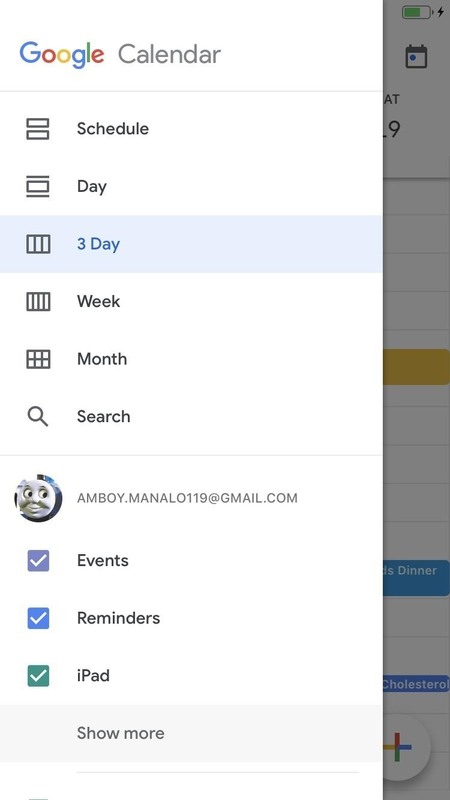 For iOS users, open Google Calendar and tap on the hamburger icon in the upper-left. 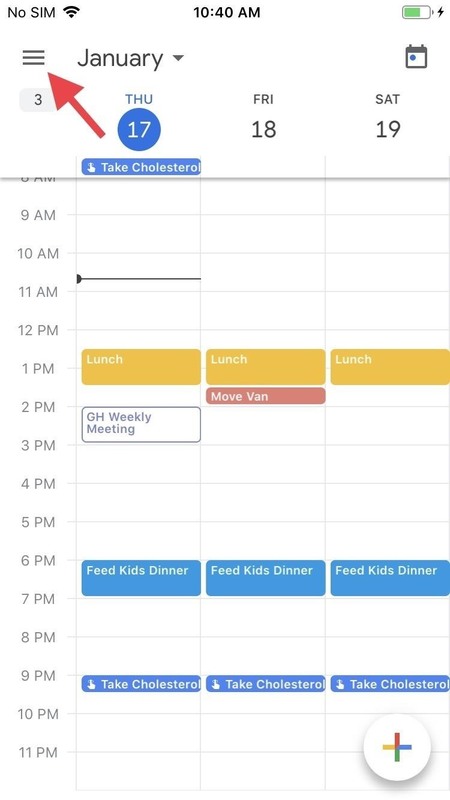 Tap on "Show more" to reveal all your calendars, and simply tap on "IAmA Schedule" to display it in your Calendar. You'll now be able to view all upcoming AMAs. If you'd like to be alerted of upcoming AMAs, open the hamburger menu again and scroll down to tap "Settings." From there, tap "Show More" in the section with your primary Gmail address as the header, then select "IAmA Schedule." Now, tap "Add a notification," then select when you'd like to be notified of upcoming AMAs. Syncing Reddit's AMA schedule to your Android device is similar to iOS — to start, tap on the hamburger icon in the upper-left corner to reveal the app's menu, then scroll down and select "Settings." From there, hit "Show more" to show the AMA calendar if it isn't available outright. Next, tap on "IAmA Schedule," then hit "Sync" on the following page to display the itinerary in your calendar. After that, tap "Add a notification," then choose how long before each AMA you'd like to be notified. It may take a moment for it to fully sync, so sit back and wait until the process is complete. Go back once the schedule is fully synced, and you'll now see upcoming Reddit AMAs on your calendar. It's worth noting that besides Reddit AMA calendars, this method will work for any additional calendars you want to add. Don't hesitate to post any questions or thoughts you may have regarding this topic by leaving a comment below.